As a soccer player, you appreciate your performance on the field. It is critical that you place a strong emphasis on developing your core strength in your soccer training. This will improve your playing skills in a dramatic way. Athletic success rests at the core…the player’s core, that is. All athletes must strive to develop and accumulate core strength. It is at the core of the body where one’s balance starts. It keeps athletes on their feet, it allows them to quickly transition from one move to another, it permits the ability to rapidly change directions, it helps with the “go” and “stop” of all their athletic pursuits, and it assists in allowing the athlete to push pass their limits, breathe, and perform optimally. 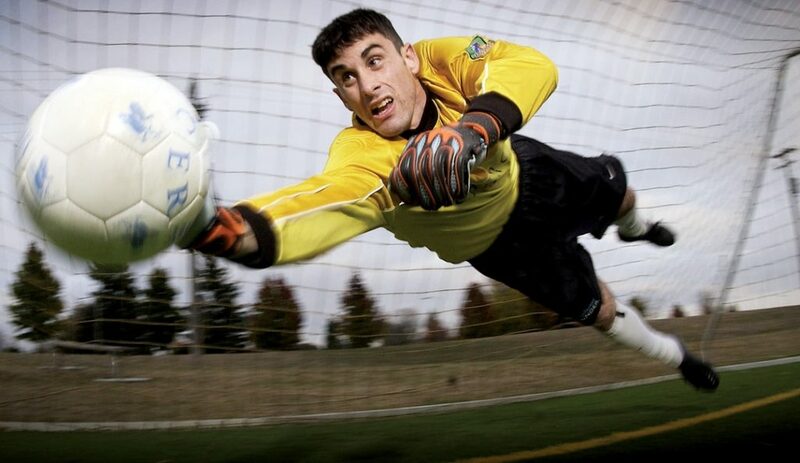 If you are in soccer training, developing your core strength is a critical component to your overall success – not just on the field, but in everyday life, too! When in game play, you can make or break your game. By building and strengthening the core of your body – the central aspect of who you are that provides strength and stabilization – you can consistently “make” and win each game that you participate in. Your core is the very substance of who you are, both physically and physiologically. It provides you with the power, the immense strength, and the endurance that is necessary to run, kick, block, and make those goals. You have to be quick on your feet, be able to rapidly shift directions, and push through with the highest level of power. If your core is rock-strong, you will experience massive respect and wins during your 90-minute game play on the soccer field. While on the soccer field, your game totally depends on your body. Your body totally depends on your posture. One of the most beneficial aspects to building your core is that your posture will improve during the process. Posture is dependent upon the muscles that are located throughout your back. When you strengthen your core, these muscles are strengthened. Not only does this make you look better on the field, but, it improves your level of endurance during game play, decreases the amount of energy that it takes to perform all that fancy footwork, and provides you with a high level of efficiency, in terms of body mechanics. While your in soccer training, you must be able to perform moves that are not only fast, but immensely powerful. In fact, many of your moves must be absolutely explosive. When you pump up your core, you are also pumping up your power. You will find that the distances that you can run, travel, and/or control the ball are enhanced, that curvature that you attempt to put on the ball is spectacular, your kick to that goal is so strong that the goalie does not even see it coming, and that your foot dribbling techniques are absolutely out of this world! If you want to be a well-respected player that is known for their spectacular technique and amazing footwork on the soccer field, you have to build up that core so that you can pump out the power! In addition to optimizing your game play on the soccer field, building and strengthening the core of your body will help you build a stronger, healthier YOU! You will develop muscle that burns fat and calories and helps you to easily move and engage in day-to-day activities and other sports. Your immune system will become stronger. All of your tissues and organs will receive the blood and oxygen that they need for optimal health. Additionally, you will find that you experience far fewer injuries and less discomfort while playing soccer, practicing, and after playing the game.